Double Stone Prayer Box Pendant, handmade from Tibet. Turquoise and red coral inlaid. 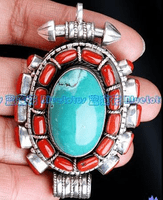 Pendant Size: 65x42x22mm, Turquoise size: 30x19mm. Weight: 70g. 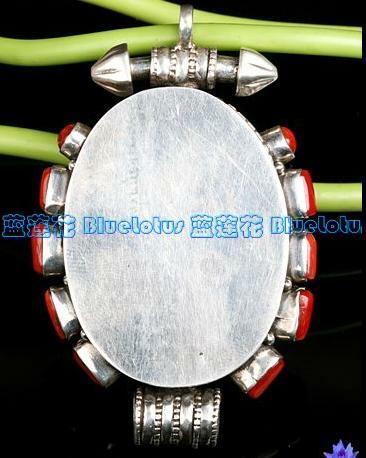 Tibetan Handmade Prayer Box Pendant. 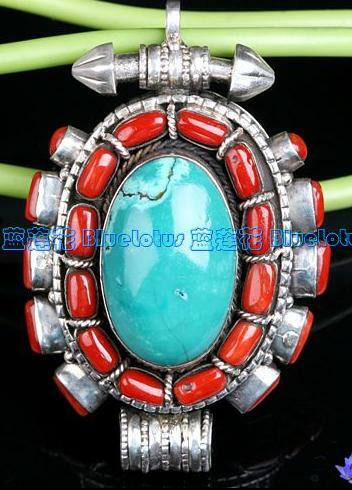 It was handmade by the Tibetan craftsman from sterling silver and natural real turquoise and red coral.